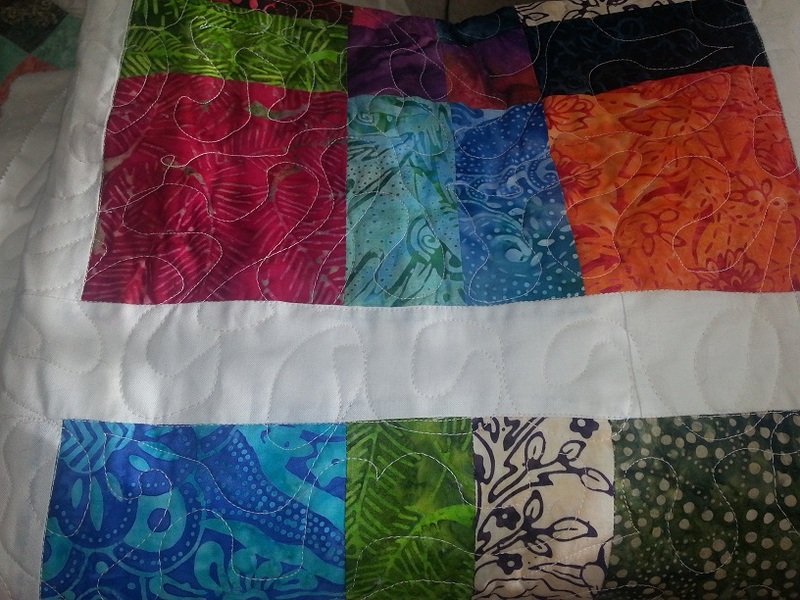 Hi everyone, I'm very new to quilting and the forum. I'm hoping to get some advice. I have a Brother 1500S. I'm hoping some of you who also have the same machine might be able to help me out. What needle size and type should I use for free motion quilting? What threads do you recommend for piecing and free motion quilting? One other thing I wanted to mention.. I've also noticed an issue when using the threader, I've managed to get it to work properly using this video (http://www.youtube.com/watch?v=oaZAxXXOpAo) and it's actually easy once you get the hang of it, but the problem I have is that the thread becomes weak where I use the threader. It's like the little hook on the threader is pulling the thread against the tip of the needle eye or something and its breaking the thread slightly, causing it to become weak. This only happens when I use the threader and only on the part of the thread that went through the threader. Has anyone else had this issue? Last edited by chelle; 07-09-2013 at 10:43 AM. My Daughter has that machine. She figured out the threader and uses it all the time. You should use organ needles for the machine. I use mostly size 14 needles and coats and clark thread or thread from connecting threads. I have lots of thread and works well for my two straight stitch only machines. I use a new needle for FMQing quilts. I use a size 12 or 14 needle for FMQ. Aurofil thread. If you have trouble with skipped stitches, try a needle for stretch fabrics. I learned this trick and many others from the Yahoo user group for this machine. I love mine. Go immediately to superiorthreads.com There you will find all of the answers you need: what kind of thread to piece with, what to quilt with, which needle to use with what kind of thread --- it's just a gold mine of information on needles and thread! Sign up for their newsletter; it's great! And if you can, take their "School of Threadology". I have this machine and it was sewing off and on nicely. Then I realized that I had it threaded incorrectly. It was just one little loop but the difference it made was huge!! There is a you tube video in Korean (or Chinese) that goes through everything perfectly. I highly suggest watching that. Wish someone could translate it for us Americans. Lol. Thank you very much for taking the time to read and reply to my post!